With cold weather still ahead we need to be aware that frigid temperatures can wreak havoc on your skin. Well Borghese’s Bel Viso Facial Skincare Set can come to your rescue. Borghese brings the spa home and provides you with everything you need to firm and restore face, body and mind! I’ve been a fan of the Fango active mud for as long as I can remember. 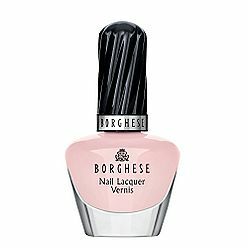 My mom introduced me to Borghese in my teen years and I’ve been lusting after their products ever since. Although the set does have products that are smaller than full size, these products are far from sample sizes. The complete set retails at $54 on QVC which is a great deal when you keep in mind that this set includes a full sized bottle of Fluido Protettivo which retails at $46.50. This set is a complete spa facial in a box at a great price.The Fluido Protettivo and the Fango Active Mud are my two favorite items from this set. The Fluido Protettivo is a great (and gentle) moisturizer for your eyes. I usually experience some minor irritation from eye cream but not with this one, it was light weight and very hydrating. The Fango Active Mud is a mineral-enriched mud mask is sourced from Tuscany’s volcanic hills. The mud mask rids skin of impurities by unclogging pores and eliminating dead skin cells. Overall I was extremely happy with this set, it’s a budget friendly option for highly coveted luxury beauty products. The set also offers the consumer a chance to sample some Borghese products that they may not have previously tried before. The set is perfectly packaged to give as a gift to your skin care obsessed gal pal or to your sweetheart for Valentines Day. Better yet grab one for yourself, hey you’re worth it. Disclosure: The product featured in this review were provided by a PR company for editorial consideration. Receipt of this product did not guarantee review and all opinions are my own. For further information, please see my disclosure policy.